In this section I have compiled the official websites of the Russian Embassies and Consulates located worldwide (from New York to Sydney, passing through London, Paris, Berlin or New Delhi), as well as the existing Russian Visa Centres, sorted by county and city. Below you can see the list that I will try to keep updated. 1. What are Embassies of the Russian Federation? 2. What are the functions of Russian embassies? 3. What are Russian consulates? 4. 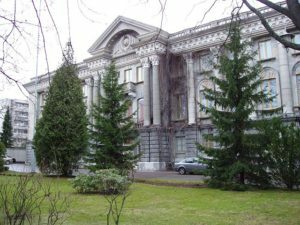 What services do Russian consulates offer? 6. What are Russian visa centres? Russia is present in some 150 countries around the world, where it is represented by about 250 embassies, consulates, and permanent missions. 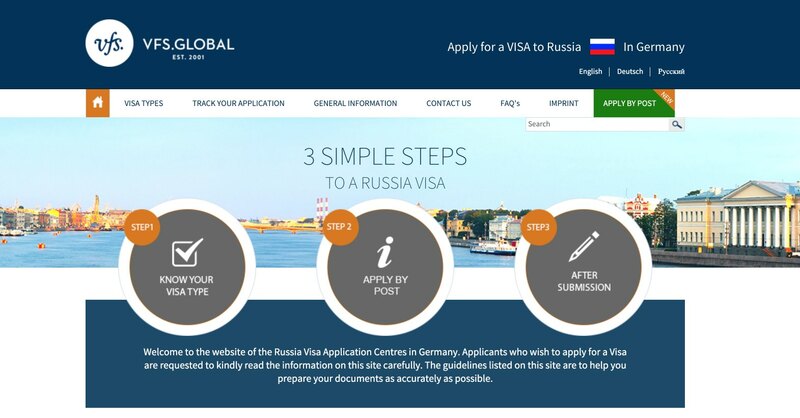 In those countries where there is a larger volume of applications for visas to travel to Russia, Russian consulates, due to their heavy workload, have opened so-called Russian visa application centres managed by private companies which are in charge of managing visas. Currently there are visa centres in 32 countries. The embassies of the Russian Federation are the diplomatic representatives of the Russian government in other countries. In each country there is a Russian embassy. In 99% of cases they are located in the capital of each country. You can check this in the list below. They are responsible for conveying messages from the Russian government to the government of the country of residence (and vice versa). They inform the Russian government about important political, social, economic or military events occurring in the country of residence. They are responsible for preparing bilateral treaties and agreements, as well as organizing visits by Russian officials (Russian president, ministers etc.). They promote Russian culture, economy and tourism. Most (not all) Russian embassies have a Consular Section with responsibility for the functions of a consulate. Russian consulates represent the Russian government overseas. They are located in the country’s capital and sometimes in other important cities of that country. As I said before, in the capital of the country the functions of the Russian consulate are often performed by the Consular Section of the embassy. The most important Russian Consulates are located in the major cities of each country, and are called Consulates General. These consulates are staffed by Russian officials. On the other hand, honorary Russian consulates are usually to be found in less important cities and have more limited powers as they are run by an honorary consul who is normally a businessman or a businesswoman or some important person residing in that city, who occasionally (though not always) has Russian ancestry or Russian family. Issuing and renewing passports for Russian residents in the country. Births, deaths, marriages or adoptions of Russian citizens. Providing assistance and support to Russian citizens in the country who might need it in the case of legal proceedings or emergency situations. Issuing visas to citizens of the country who want to travel to Russia as tourists, for business, studies, family visits, work, residence etc. Special cases include diplomatic representatives of the Russian government in international organizations (United Nations, European Union, CIS countries etc.) and are called Permanent Missions or Delegations. 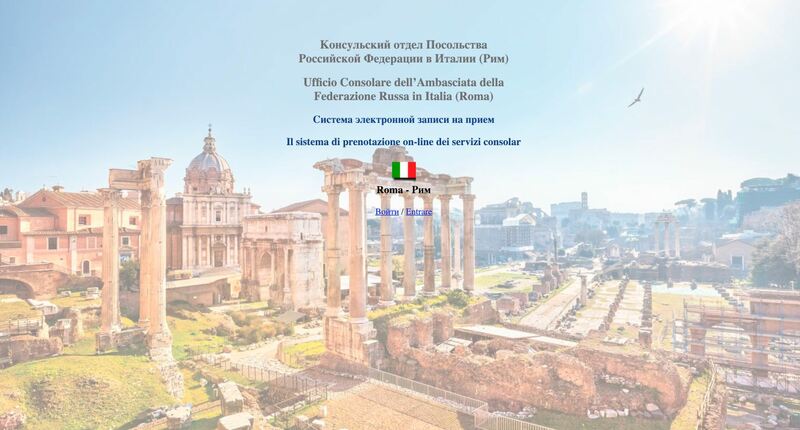 There is also an embassy of the Russian government in the Vatican called the Nunciature. In recent years the number of Russian visas processed at Russian consulates in some countries has seen a significant increase. As a result of this and in order to lighten the workload of the consulates, the Russian government decided to outsource the management and processing of Russian visas to various private companies in different countries. The offices of these private companies are called Russian visa centres and they are currently found in a total of 32 countries making a total of 84 offices (i.e., an average of 3 offices in each country). The offices of the visa centres are located in the same cities where the consulates have their headquarters because they serve as intermediaries between applicants and the Russian consulate and charge management fees for each visa processed. In countries where there are visa centres the consulates recommend applying at these centres although it is possible to apply directly through the consulate by appointment. Some of these companies handle Russian visas from several countries, such as VFS Global (VFS), Visa Handling Services (VHS) or Invisa Logistic Services (ILS). In the list below you can see a link to each of these offices. In the following table you have the list of Russian embassies, the list of Russian consulates, as well as the list of Russian visa centres sorted by country and city. If you find any link that has changed or is wrong, please leave a comment below and I will have it updated. Much of the data on the list has been taken from the website of the Consular Department of the Russian Ministry of Foreign Affairs (in Russian) which was not updated and so many of the web addresses have been obtained through Google searches. 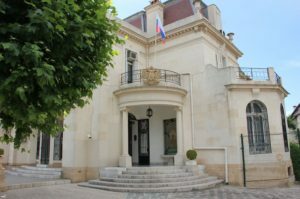 I hope this post has been useful in giving you an understanding of the operation of Russian embassies and consulates, as well as their visa application centres. You may leave your comments or questions below. If you’ve found the post useful you can help me by sharing it on your social networks: Facebook, Twitter, Linkedin, Google +, Instagram, etc.